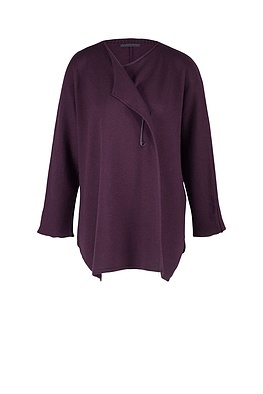 Casual and wonderfully comfortable: this relaxed wide-cut OSKA jacket is both! It always cuts a fine figure in any company – with sporty, narrow or voluminous trousers. One beautiful detail is the striking hemline; small rolled edges at the neck are flattering to your femininity. This jacket can be fastened with a pretty decorative pin if desired.